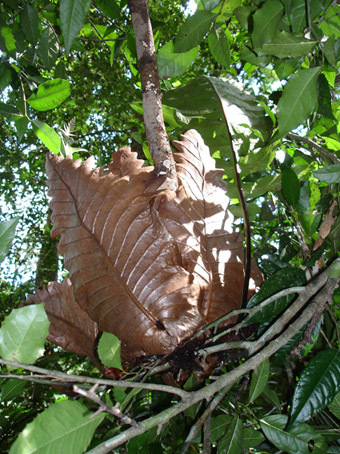 Lianas - characteristic of seasonal tropical forests. 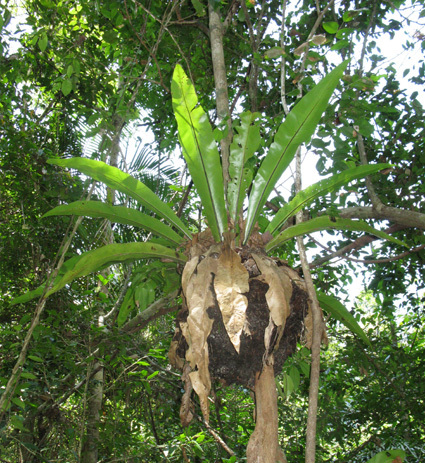 Epiphytes grow on the outside of trees and other plants. 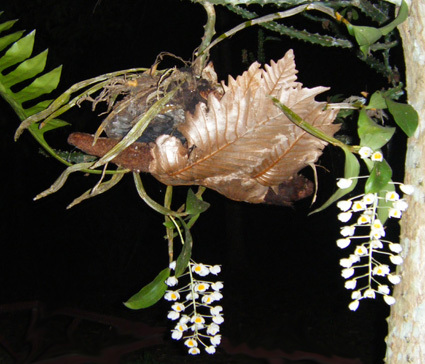 They include mosses, ferns and orchids. 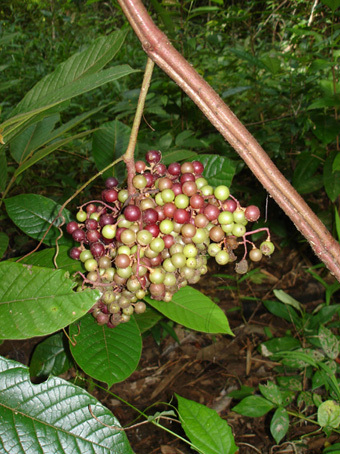 As in many Asian tropical forests, the Zingiberacae are represented in Cat Tien - including: forest gingers, Zingiber spp. 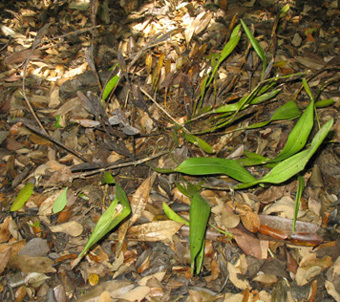 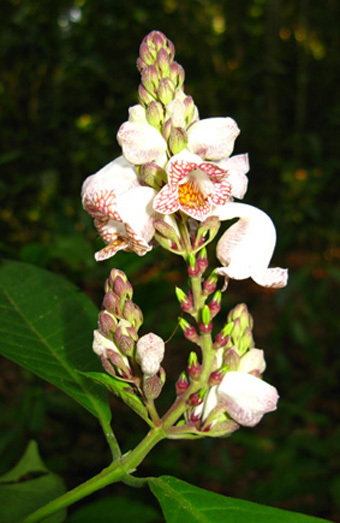 such as Z. zerumbet, Alpinia spp. 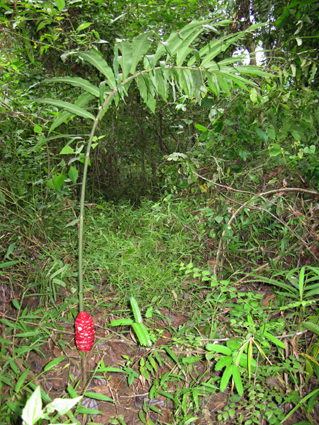 (the genus that includes the spice Galingal) and the delicate Globba pendula. 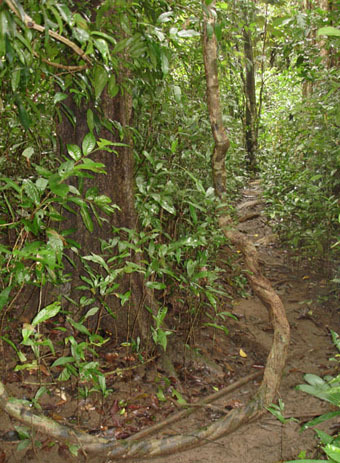 A substantial proportion of the park is bamboo forest which, although much less diverse than primary forest, does support a certain amount of wildlife and hold the soil (thus protecting riparian zones). 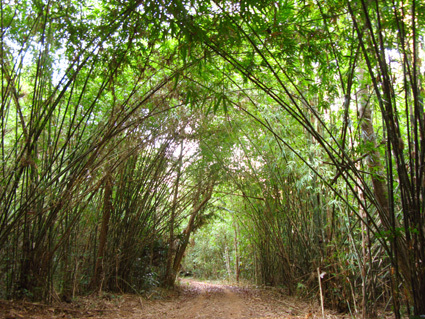 This rather attractive 'bamboo archway' boarders the road near the Thac Troi (Heaven) rapids.